According to a recent health notice, students at various colleges in Oxford have been diagnosed with scabies. The NHS warns that it is a highly contagious disease which can spread from one person to another through prolonged, direct physical contact. Scabies is caused by tiny mites that burrow into the upper layer of the skin where they lay eggs. Once the eggs hatch, the mites climb to the surface of the skin and spread to other parts of the body. They can live on a human body for up to two months and up to 36 hours in bedding and furniture. The main symptom of scabies is an intense itching (especially during the night) and rash limited to certain areas such as elbows, wrist or the webbing between your fingers, or in severe cases over the entire body. Other symptoms include ‘burrows’ on the skin, consisting of small raised, greyish-white or flesh-coloured lines that are caused by mites digging their way into the skin. In a severe form of scabies, known as “crusted scabies”, there may not be the usual itching or rash, but instead thick crusts of skin caused by large numbers of mites. 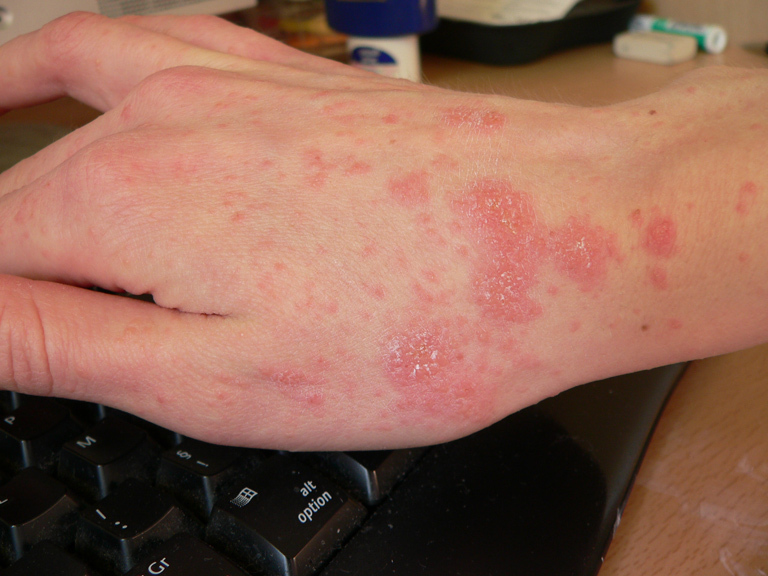 If you notice the symptoms of scabies, you should see your GP who will prescribe an anti-scabies ointment.